We tend to forget what a great ballplayer Ty Cobb was. He was the top vote-getter in the first group of players elected to the Baseball Hall of Fame, outpolling even Babe Ruth. His lifetime batting average of .366 is the best ever. But what made him one of the all-time greats—worthy of being in the inner circle in the Hall of Fame, if there were one—was also what made him more successful financially than any ballplayer of his time, yet also one of the most despised. Put simply: he was plumb loco. 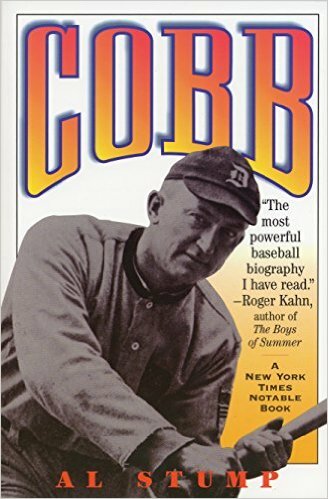 Al Stump spent several months with Cobb shortly before Cobb's death, and in this biography, Stump lays out the good, the bad, and the ugly. And there was plenty of each.